Pokemon Go Pro Tip: Attack Gyms Before Spinning Their Photo Disc! When you're out on the grind with Pokemon Go spinning Pokestops, catching Pokemon, trading them in, getting stardust, and upgrading your power-hitting Pokemon, there are some ways you can take advantage of the system to help you out in little ways while you endlessly grind your way to that final destination! For one... if you're approaching a gym, don't spin the gym's Photo Disc until after you're done doing what you're doing. Especially if you're planning on conquering the gym. The reason I say that is that if you attack and convert the gym to your own team, you can then spin the disc after your take-over for that 'team bonus.' If you spin the disc first before you convert, you lose out on that ever elusive and 'generous' team bonus. What Is the Team Bonus in Pokemon Go? - 1 extra random item. It will be highlighted in your team color. - Depending on the Gym's badge level, you can get bonus items highlighted in gold. Do Not Spin The Gym's Photo Disc Before A Raid! 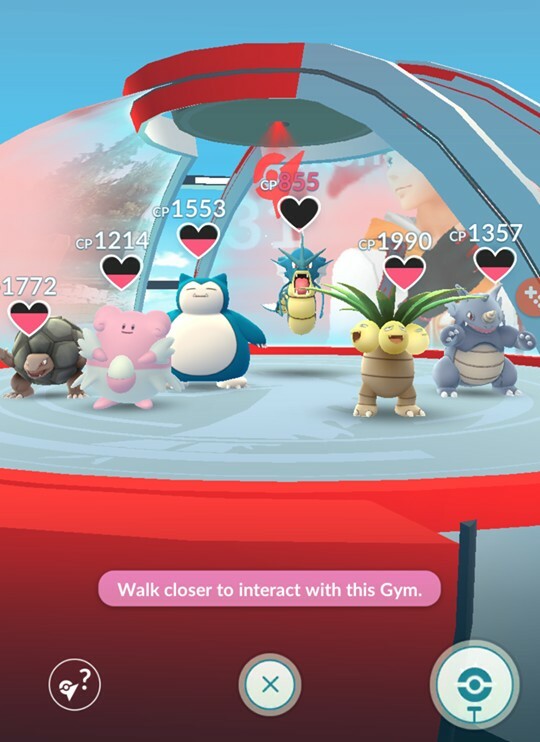 Another reason to NOT spin the gym disc before a raid is if you're coming up to a raid on a gym and you happen to have lapsed into a double 'raid pass' day, which is where you didn't use your 'raid pass' yesterday, then you can hit up the raid, take down the boss, then spin the gym disc afterwards and get another 'raid pass' right away. If you spin beforehand, you'll have to traverse to another gym somewhere else to get that second pass. If you have multiple gyms around you, that's great. Again, this double raid pass works if you didn't use your 'raid pass' the day before. If you spin more than 10 stops in 30 minutes, you get a bonus number of items on the 10th spin. But only if they're unique spins, not the same stop. Also according to a Reddit post, if you wait too long between stops (10 minutes), the accumulation resets. Also, according to sources, 100 stops in a row nets you NOTHING extra!